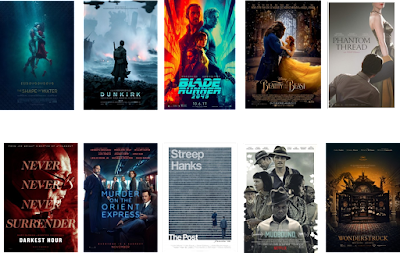 The rundown: I’ve been continuing to refer to this category as Best Art Direction even though I now see that it was officially changed five years ago, so I’m now getting on board with that. The Art Directors Guild has three categories – period, fantasy, and contemporary – and that gets boiled down to just one here. The only nominee I’m predicting without an ADG bid is Phantom Thread, though Mudbound and Wonderstruck also weren’t cited. 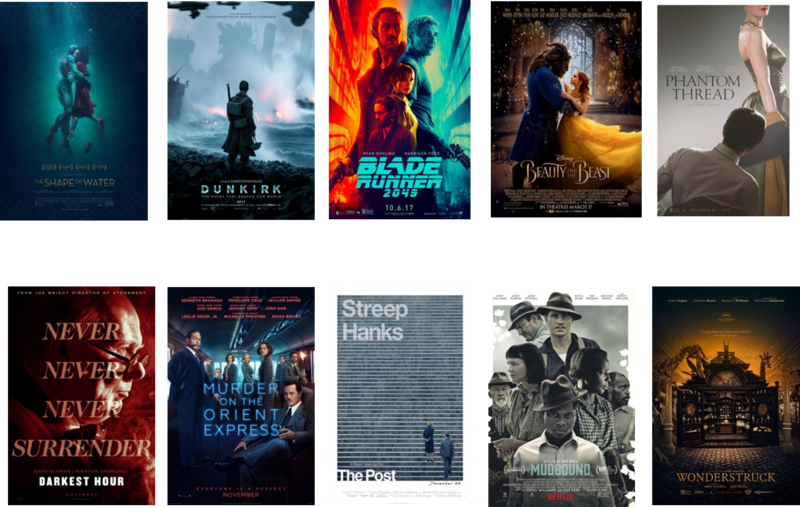 The Shape of Water and Dunkirk are locks here just like they are in many other categories, and Blade Runner 2049 and Beauty and the Beast seem almost as likely. Darkest Hour is a strong possibility, as is Murder on the Orient Express, with The Post also having a decent shot. This category may well offer a surprise or two. One possible crazy scenario: It was nominated in the contemporary category by the ADG, but Downsizing has done so poorly on the awards circuit that a bid for its creative art direction seems so unlikely. Forecasted winner: This feels like an easy place to reward The Shape of Water.